Young Princess Leias and Luke Skywalkers rejoice! Not only is it almost time to break out the Star Wars-themed kids' costumes and wrap those long locks up into cinnamon roll-size side buns, it’s also time to start populating your holiday gift lists with any and all Star Wars merchandise. 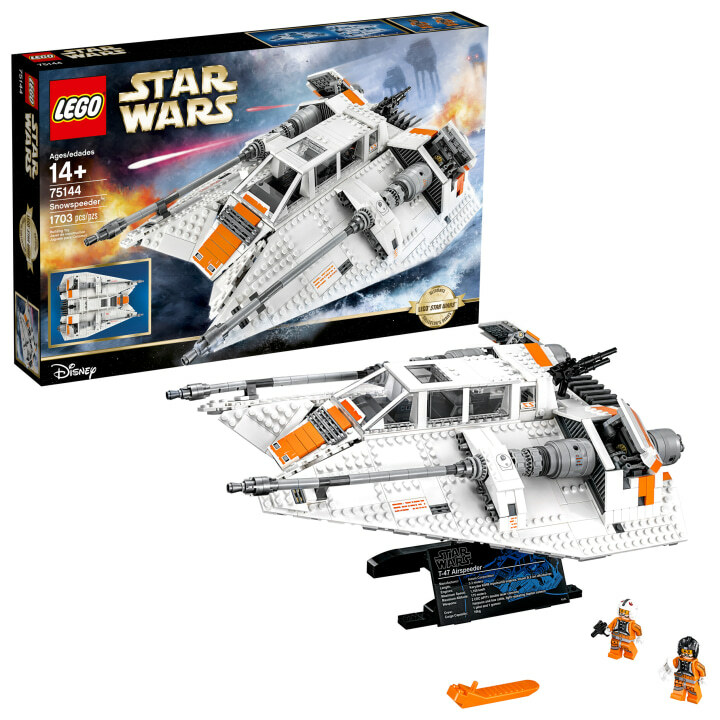 For the parents of kids who are both Star Wars-obsessed and mini engineers-to-be, this LEGO Star Wars Snowspeeder is the perfect gift, and it’s $30 off right now. The 1703-piece set is a realistic model of the Rebel Alliance aircraft that appears in "Star Wars: Episode V The Empire Strikes Back." And if that doesn’t mean much to you — don’t worry, you’re not alone — but Star Wars-loving kids will definitely know about it. On the surface, this LEGO set is just plain fun, but it's also an exercise in patience and diligence as kids take on the challenge of building the Snowspeeder over winter break. One reviewer spent a total of eight hours on the build over three days on-and-off. Even Prince George loves Legos! With a deal like this one, there's a good chance lots of kids will be busy building this winter. But, if you're worried about how to store them, don't worry: we found some genius Lego storage hacks for that.